The Volvo V90 is the latest in a six-decade line of big, comfortable Swedish estates. A lot has changed at Volvo recently, not least the switch to Chinese ownership. But the V90 continues in the spirit of those timeless Scandi wagons, with the emphasis very much on comfort, safety and practicality above all else. 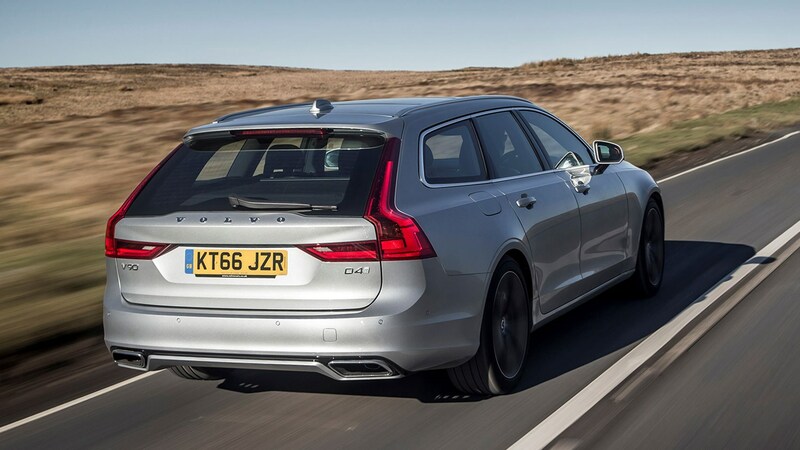 The V90 – like its saloon sibling, the S90 – makes use of the same basic underpinnings as the excellent XC90. It's not just a good car to carry passengers and large boxes – it’s also good to drive. Outside, it has the concave grille and less boxy rear end favoured by recent Volvos, and in R-Design form it gains extra black – on the grille, the bumper and the wheels (18in rather than the standard 17in) – and silver on the door mirrors. The Volvo V90 D5 PowerPulse AWD R-Design is intended to take the big Volvo estate in an even more driver-focused direction. It doesn’t just look sharper and spanglier, it also sits on springs that are 15mm lower, with firmer damping. 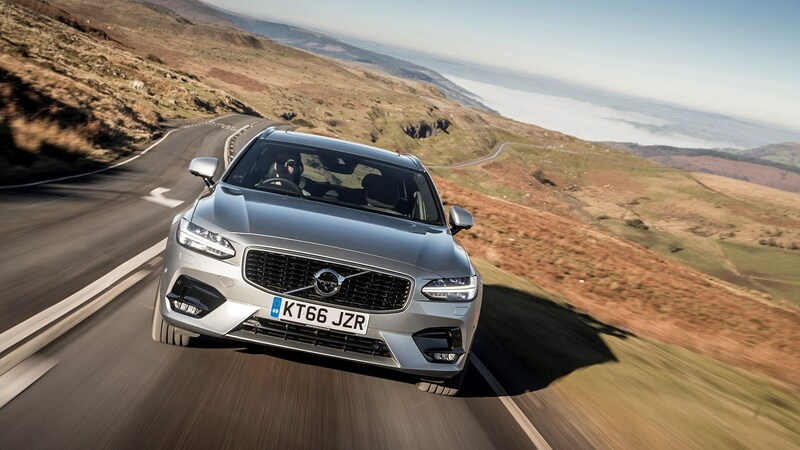 It’s also the most expensive V90, at £43,955, compared to £34,955 for the entry-level (but still very well specified) D4 Momentum version and £43,585 for the slightly jacked-up-and-cladded D5 Cross Country model. What’s different about this version? Don’t be fooled by the 5 in the badge. Like all V90s, the R has a four-cylinder engine. The entry-level two-wheel-drive D4 is a 2.0-litre 188bhp diesel, while the all-wheel-drive D5 tested here puts out an extra 40bhp. (A petrol-electric plug-in hybrid will join the S90 and V90 ranges.) R spec is also available with the D4 engine. The D5 employs PowerPulse engine technology, essentially a tank of compressed air that can spool up the turbocharger when you press the accelerator, thus minimising turbo lag. You also get suspension that’s 15mm lower than standard, with firmer damping. Inside you get sports seats with leather/nubuck upholstery, and a feast of interior treats, on top of a high standard set-up. Even though it comes in a very high spec as standard, there are a great many options available for the R. Some are grouped together in packs, others you choose individually. They range for audio upgrades to cycle carriers and dog gates. Our test car had the Xenium pack (£2000, sunroof, parking camera, automatic parking), the Winter pack (£1000, heated windscreen and washer nozzles, headlight cleaning system) and the Family pack (£450, integrated booster cushions for the outer rear seats, sun curtains and powered child locks), plus smartphone integration (£300) and Blind Spot Information System and other safety measures (£600). While all good, worthwhile additions, they take the total cost to a steep £48,305. Fitted as standard there’s Pilot Assist, which works up to 80mph, monitoring steering, speed and the surroundings with radar and a camera to make sure you’re not about to ram anyone or leave the road, and intervening if required. If you’ve lived with a big Volvo estate before, you’ll be familiar with the general set-up. It’s roomy, both front and rear, and there’s a good amount of luggage space, although the more stylised shape means it’s not massive: 560 litres with the rear seats up, 1526 when you lay them flat. That’s less than the Skoda Superb (660-1950) and Mercedes E-Class (640-1820) but similar to the Ford Mondeo (488-1585). All V90s have a power-operated tailgate (but hands-free is a cost option). The boot is wide, and the lower edge of the opening is much lower than you’d find on an SUV, making loading up (cargo and dogs) much easier. The whole interior is not just bigger but also better: it feels very well made, well thought through, and extremely user friendly. Many of the functions that in previous Volvos were operated by switches and buttons and dials are now controlled through the excellent pinch-and-zoom touchscreen. It’s portrait in format rather than the more usual landscape, and it can be operated wearing gloves. It feels very natural, like a giant smartphone. 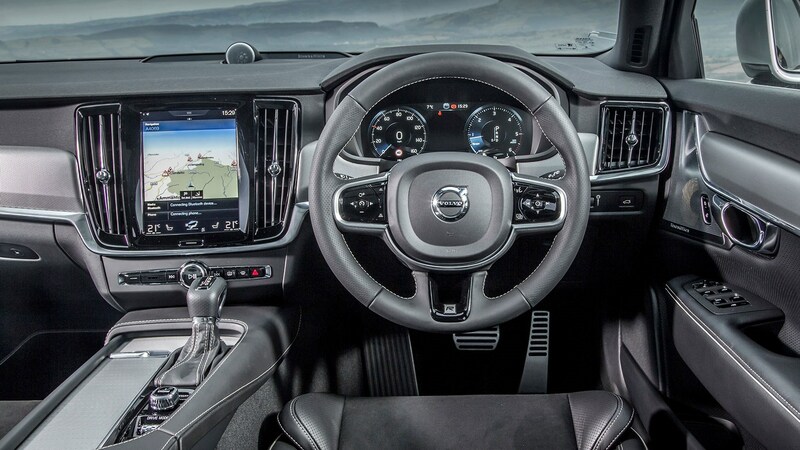 Sat nav, the radio and cabin temperature can be controlled by voice. It would be an exaggeration to say that the R seems to shrink when you start moving, but it is composed, responsive and easy to manage. You can never really forget that you are in a long, heavy car, but the engine, chassis and brakes work well together for a harmonious driving experience. It’s far, far tauter and more accurate through the bends than many big Volvo estates we’ve experienced in the past. The firmer suspension of the R helps, but the S90 and V90 ranges as a whole handle well. The engine can be a lot of fun, hauling the big V90 away from the lights with surprising agility, but the real point of it is effortless crusing at motorway speeds or above. This is a good version of a good car, if you’re looking for a smooth, comfortable, well-made estate that’s as much about the passengers as about the driver. While not exactly cheap, you get a lot of well-targeted tech, built-in safety and quality engineering for your money. The R upgrades are all good, if not strictly necessary. It’s likely that it’s the V90’s size that will draw people in, but buyers will get much more than a voluminous workhorse. They’ll get a vehicle that’s practical, stylish in its way, rewarding to drive and extremely well equipped.